Come and meet author Sandy Osborne (Girl Cop: The Life and Loves of an Officer on the Beat) and her publisher, Helen Hart of SilverWood Books. 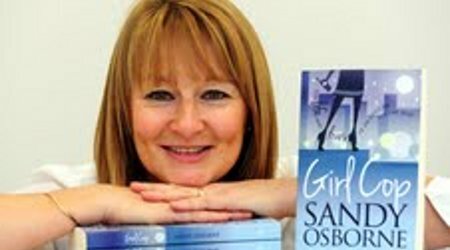 Sandy, a serving police officer, will discuss how regular contributions to her local paper got her started in writing, the story behind Girl Cop and her experiences of getting her book into print. Hailed as ‘Bridget Jones in uniform’, Girl Cop takes an affectionate look at the police force in the early 1990s. It interweaves amusing anecdotes of life on the beat with the tale of PC Sally Gentle and her search for a lasting relationship. An uplifting chick-lit novel with a genuine feel-good factor. This evening will cover all you need to know about successful self-publishing and more, as Sandy reveals the secrets of a record-breaking launch and her highly successful marketing campaign. Helen will offer practical tips on publishing your own work like a professional.